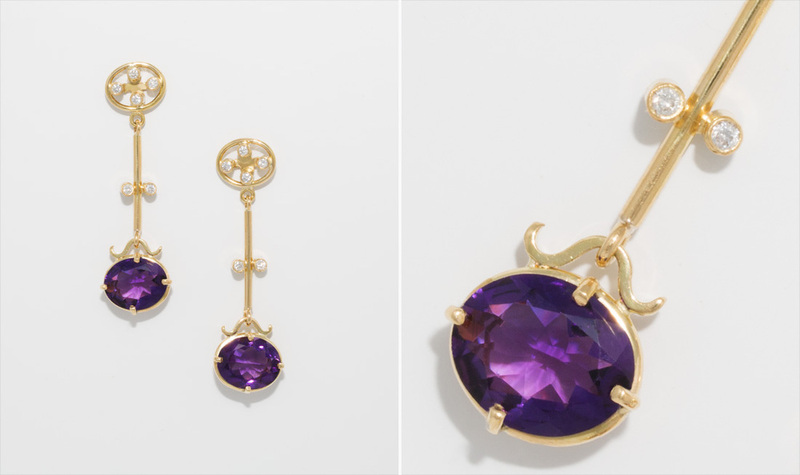 18ct yellow gold drop earrings with amethyst and diamonds. 18ct white gold drop earings with a button pearl and diamonds. 18ct white gold drop earrings with a pear shaped facet cut beryl and diamonds. 18ct yellow gold, fancy cut smoke quartz, citrine and peridot earrings. 9ct yellow gold bow clip earrings with pear shaped lemon quartz. Silver and oval lemon quartz stud earrings.